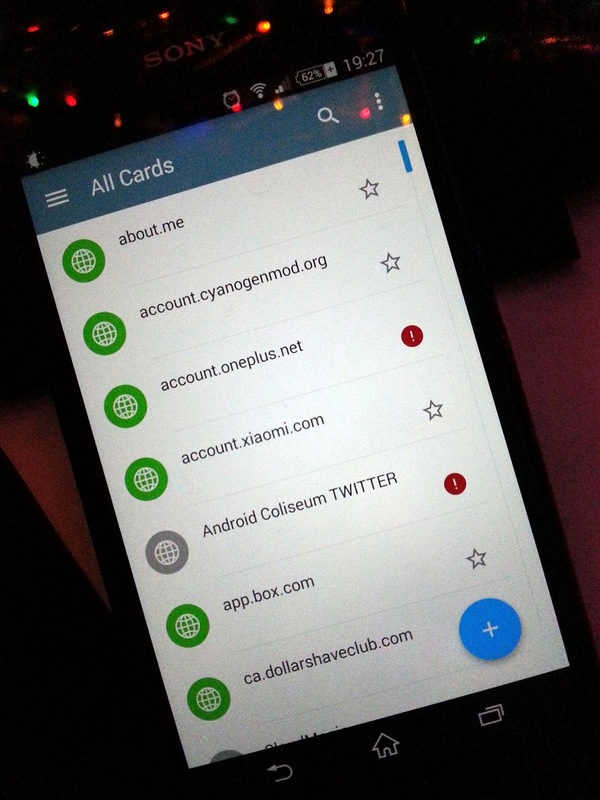 Material Design password manager safeincloud SafeInCloud has now been materliazed! SafeInCloud has now been materliazed! Let's take a look at this baby ok? Many app developers are developing their application to fit the Google guidelines about material design and that's just what SafeInCloud did. Since the application doesn't allow to take screen captures directly from the phone, I decided to take a picture of what it looks like. Standard hamburger menu on the left side, extra options on the right side with the 3 dot menu. You get at the bottom the usual + to add extra information into your list. If you pull out the hamburger menu, you'll get the same style as you'd get in Google+, Play Store etc. If you haven't already looked at it, why not take it out for a spin. The Google Play store page hasn't been updated with the latest images, but the app sure did get a facelift.